Wild morning pretties! I’ve been having some problems with dry skin on my face lately (harsh wind and extreme cold did not help!). 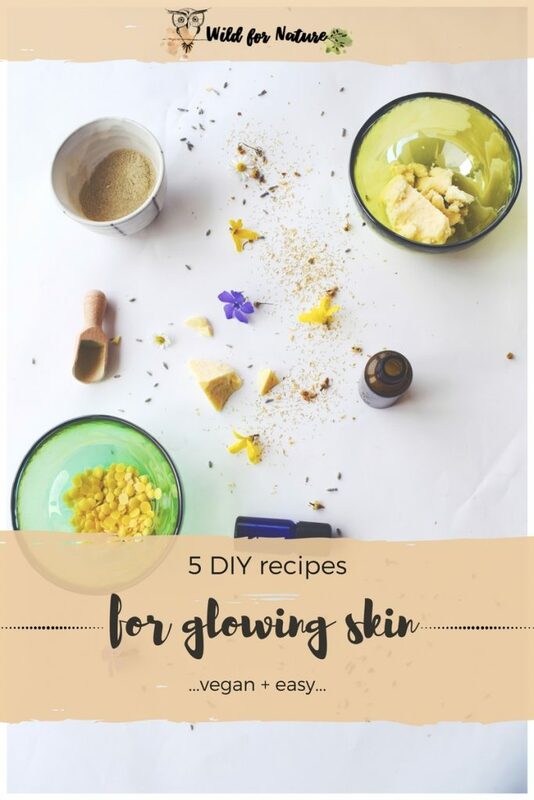 That’s why I decided to give it a go and make my own personal vial of homemade natural skin serum for my pretty and pale face. 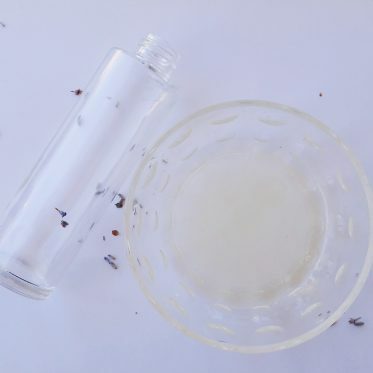 This homemade facial serum for mixed skin is fragrant, calming, lovely, made with only natural and organic ingredients and is, one of my favorite vegan DIY cosmetics I’ve done in a while. First of all, I’ve never really owned a facial serum before. I just never needed it, really. But this year the winter has been especially harsh, and it started to show on my face. I had some oils already at home (which I always do), and it dawned on me that I can make my own bottle of luxurious liquid for a normal price; I’ve calculated the ingredients- not too precisely, but the value of the bottle is about 3 euros. Even this might be a bit expensive, but the last batch of ingredients didn’t come cheap. Anyway, that would make about 3.70 dollars and if you compare that to the expensive natural skin serum you buy in a shop, well…there’s no comparison there. Don’t we all love argan oil? Okay, not everyone, but I definitely do. 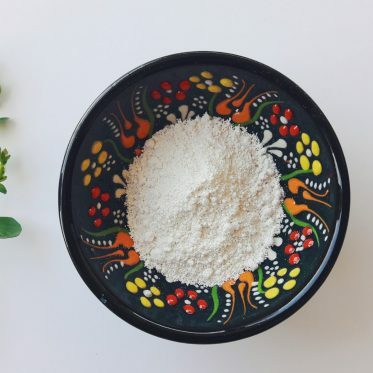 It is, after all, one of my favorite natural and organic ingredients in my vegan DIY cosmetics. 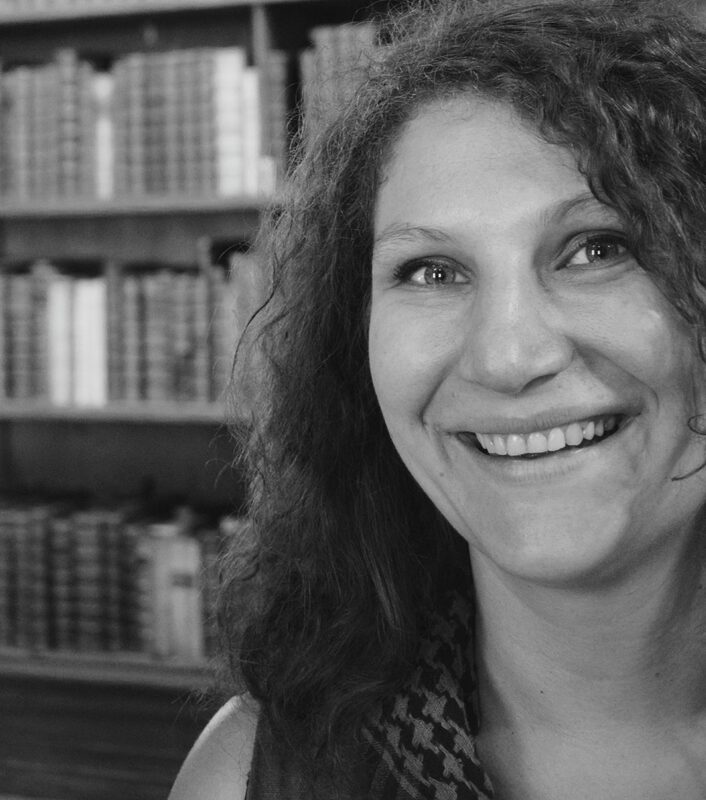 Argan oil is a moisturizer, not just for skin, my hair loves it too! Apart from the fact that it benefits the eternal anti-aging struggle, it also nourishes dry skin, protests and heals it. Another benefit is that it goes with all skin types. Acne and other skin problems (eczema, psoriasis) or a gentle post-shave conditioner, argan oil can nurture, pamper, and heal all at the same time. Rich in vitamins, minerals, and fatty acids, avocado oil has been a staple in my vegan DIY cosmetics kit. It’s a bit thick and therefore very useful for dry and dehydrated skin. I even use it on my hair; all depending on my needs and mood. It’s absorbed relatively quickly, but not as quick as I’d like it to, which is why I never use it in the summer. Apart from that, avocado oil is great for psoriasis (according to this study), wrinkles, and wounds. Why? Due to its’ anti-inflammatory, antimicrobial, and antioxidant properties. Lavender is the oil of oils. 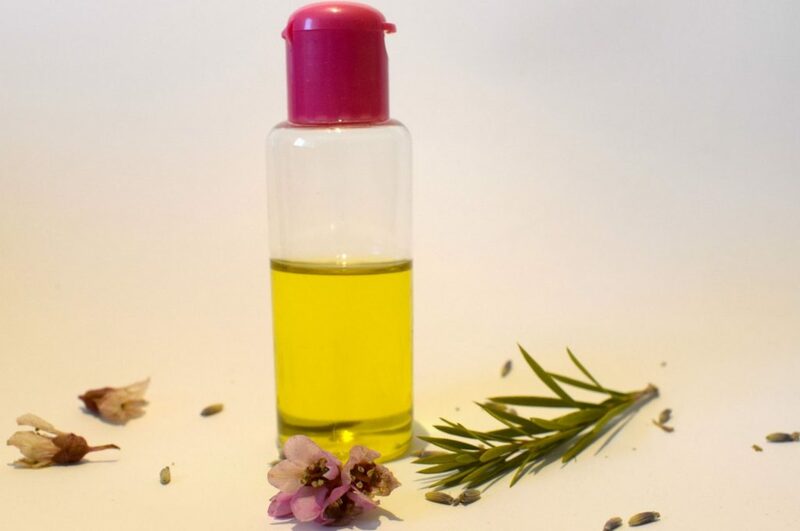 The incredible beneficial effects it possesses for the skin, hair, overall health, this oil has a number of other uses and it might take a while to master it all. 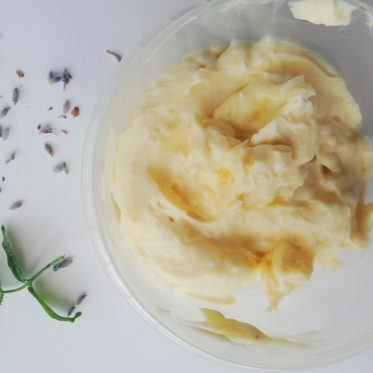 It’s one of the best natural and organic ingredients to treat acne and eczema, it relieves stress (try it with one of the 7 vegan lavender DIY), a natural relief for an itchy scalp, it improves blood circulation, and also is able to detoxify the skin with its powerful antioxidant benefits. 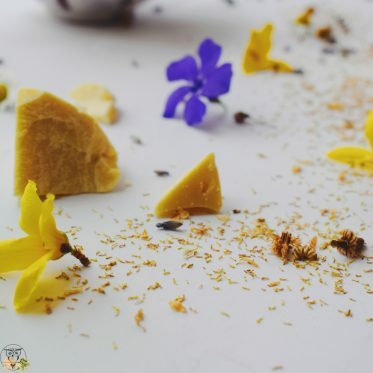 Smell it, drink it, apply it to your body, lavender has it all. And it also has minor allergic reactions, if you have a sensitive skin, so make sure you test first. Antibiotic, antiseptic, sedative, antidepressant, I love my bergamot because it makes me happy. The fragrance is a real mood-booster, relaxing yet uplifting. Apart from that, bergamot oil prevents infections and boosts blood circulation. As a natural cleanser, bergamot can help remove dirt and impurities from the skin. It’s beneficial for oily skin, it helps to balance it. I added it to this serum because it’s a nighttime serum so there’s no risk of sun exposure. Bergamot oil is phototoxic, which means that it can damage your skin if you get exposed to sunlight. Cedarwood has powerful beneficial properties that range anywhere from antiseptic, tonic, astringent, sedative to antispasmodic and anti-inflammatory. I love its woody and soothing aroma. 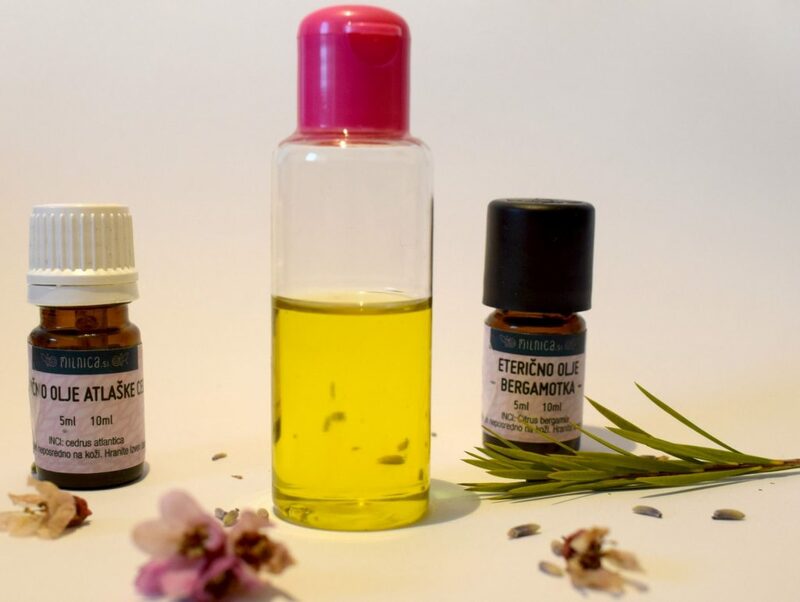 This oil prevents infections, soothes eczema, cures acne, and improves focus and memory. If you’re wondering how do you use cedarwood oil, the answer is quite simple. When making any kind of DIY, just add a few drops to your favorite body lotion, hair mask, or as in this case, homemade natural skin serum. Can vitamin E oil be used as a preservative? Yes, it can in oil-based products. 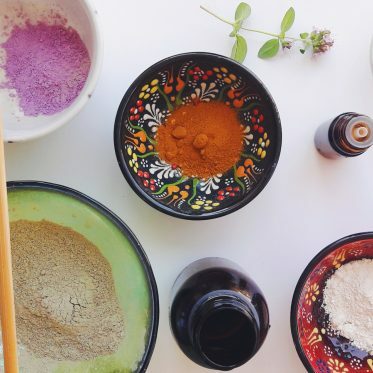 It will extend the shelf-life of your (non) vegan DIY cosmetics. The thing to know is that this oil in itself is not a preservative, it’s an antioxidant. Let’s get to work. This recipe will take you 5 minutes to make (10, if your ingredients are all over the apartment like mine are). 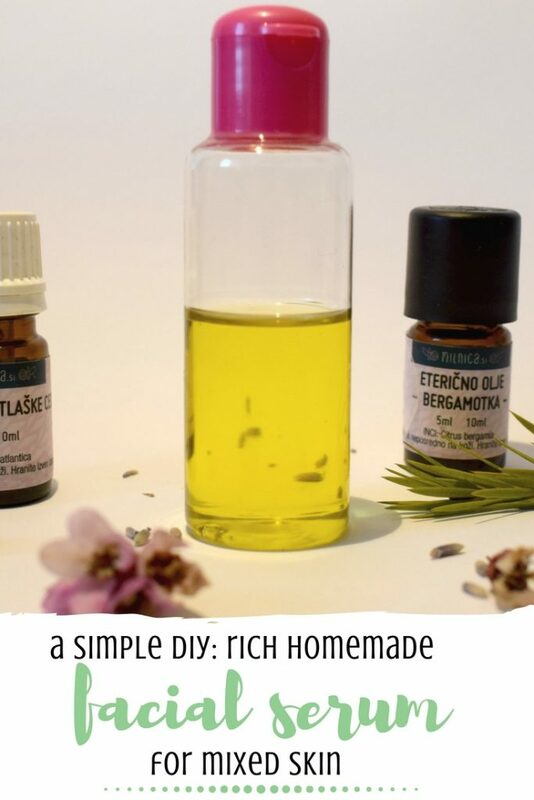 You need 7 ingredients, but the essential oils can be optional if you don’t have them on hand. The results are soft and smooth skin and fragrant night face. 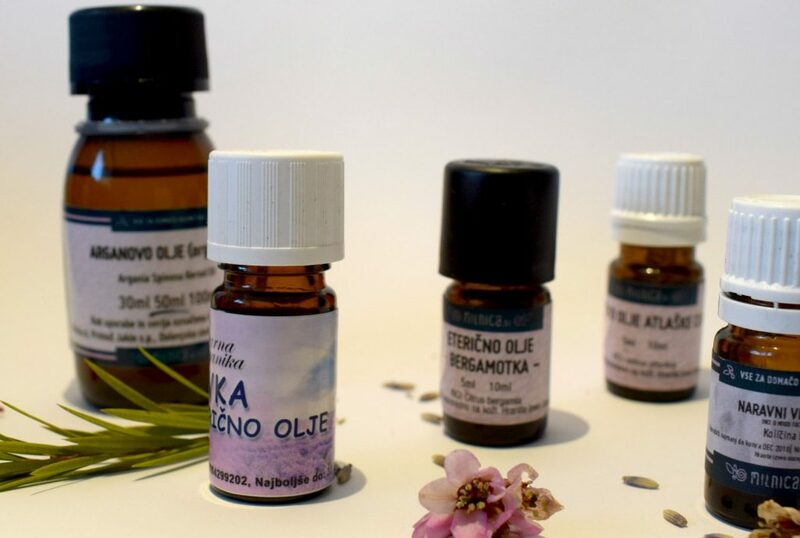 Apply the oil once a day: add a few drops to your fingers, massage the serum a bit and spread it over your face and neck. I always take a few minutes to massage my face as well. Apparently, my skin loves it. Enjoy the calming smell of the serum! Omit or change any essential oils you don’t have or are allergic to. What’s your favorite treat at the moment?